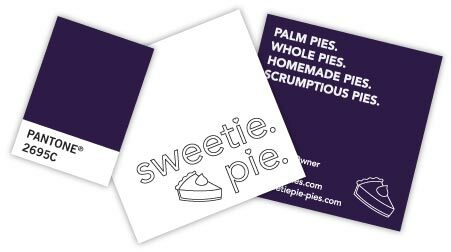 When we started on the Sweetie Pie brand, we instantly knew the elements needed to evoke fun and flavor: A deep purple like a pie filling, business cards that match their pie boxes… sheesh, we’re hungry just thinking about it. We pride ourselves on being able to help businesses at any phase in their development. 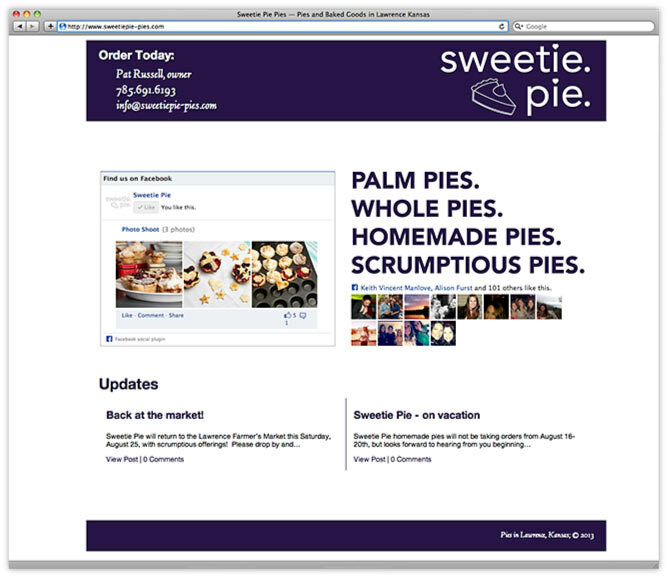 With from scratch start-up Sweetie Pie, a small site was the right way to get things cooking (or baking, if you will). From there, we used open technologies like tumblr. and Facebook to keep this bite-sized site dynamic and engaging for those hungry fans. 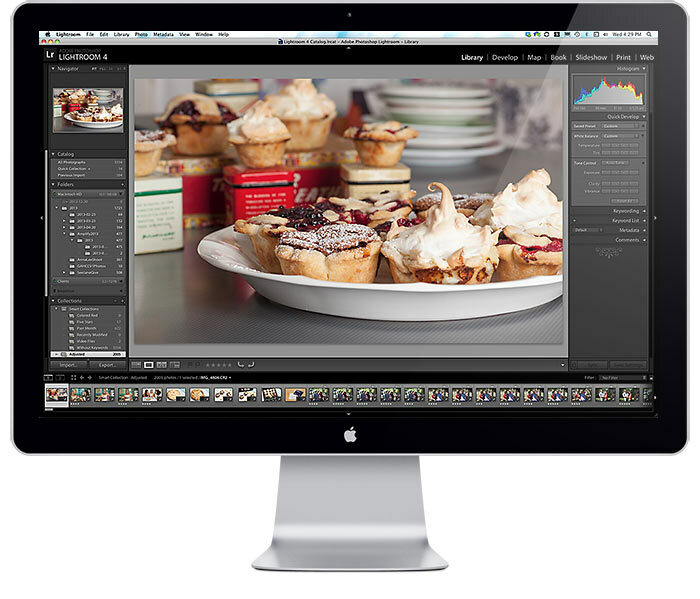 Good food photography isn’t as easy as one might think. And making pies look warm and delicious? Even harder. Of course, this is the kind of challenge we’ll happily take on any day of the week. Through expert attention to lighting and a careful eye for all the background details, we turned out these mouth-watering photos and made it all look as easy as… well, you get the idea.